But unfortunately milk never tastes the same outside Norway. I needed to make my self a problem I could solve. 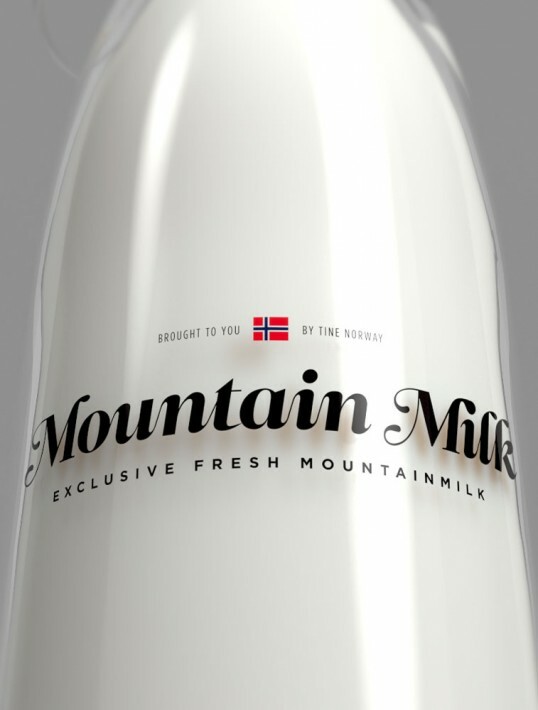 I wanted to make norwegian milk available outside of Norway, but I love the packaging design of high-end alcohol products. The brand Voss have had great success with their norwegian water internationally, so why not make an exclusive norwegian milk? 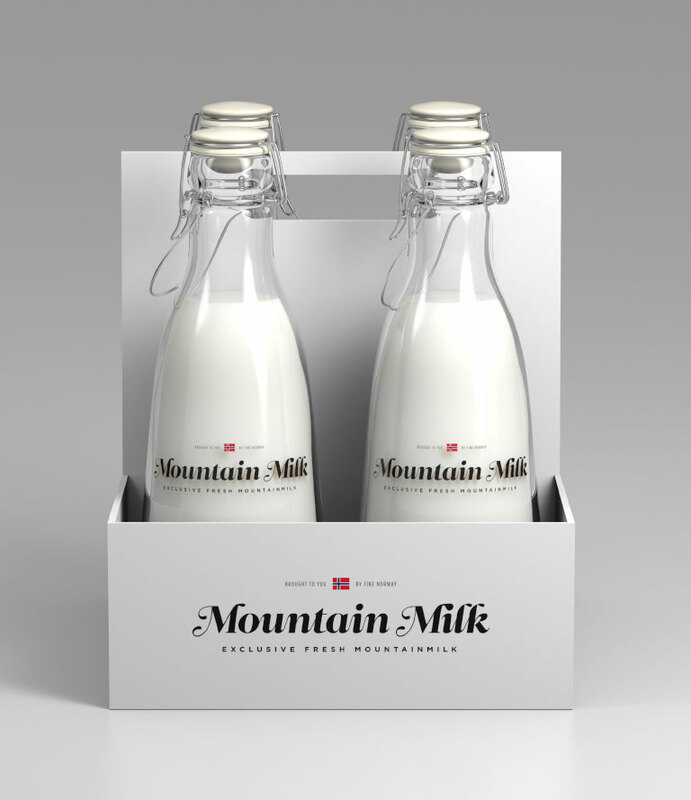 Beautiful clean and modern Norwegian Milk! I like the bottle, typeface, and overall look for the design. The only think I’m unsure about is the picture inside the bottle. I would also would like to see the other side to see how the information was place on the back. I love this packaging although the show through image let’s it down for me. 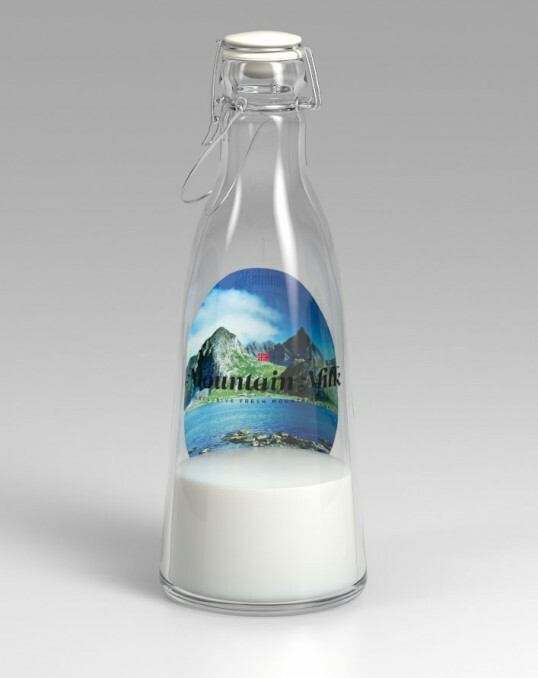 If they can sell bottled water for a fortune maybe it’s milk’s turn now! Wow! Absolutely beautiful work. Extremely well done. Beautiful type, bottle, and concept. However, the image inside devalues the design. Bottle water can get away with it, because the water actually acts as a magnifier that creates an array of colors. Placed in the milk, the image has no other function than to look awkward as you begin to drink. Oh, and did i mention BEAUTIFUL TYPE! looks good when full, but nasty half empty. 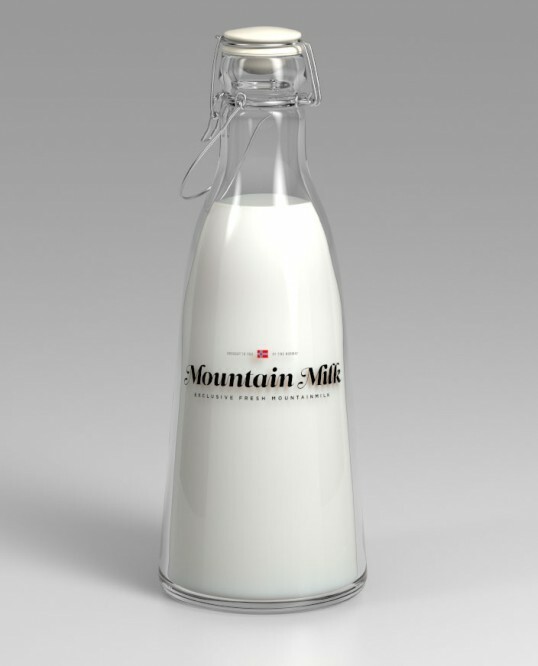 Nice typography and minimal aesthetic, but is it appropriate for milk? Liking alcohol branding is fine, but making milk feel “premium” seems like a strange choice. Would this sell, or is this just design-for-design’s-sake regardless of how nice it looks? The design is fantastic! But I agree that the image showing trough is a bit much. I like the clean design of the bottle. Wonderful work. nice picture friendly, je kiff!